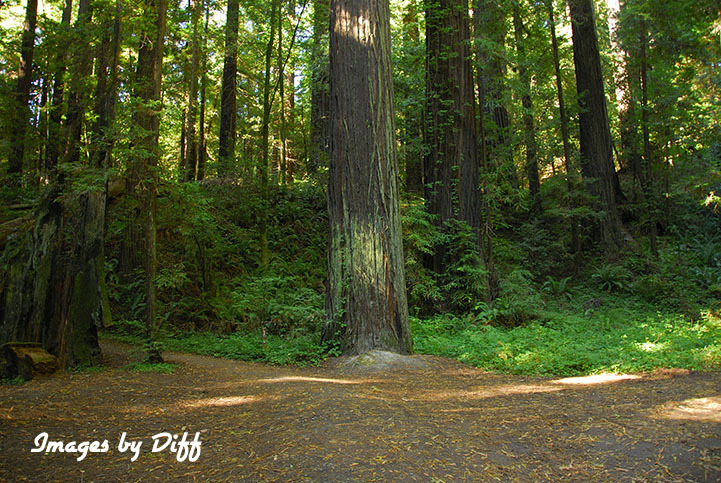 click photo to enlarge We have been out here in Kalefornia for almost 11 years now and we finally made it up to see the California Redwoods and they are every thing I had ever read about them. 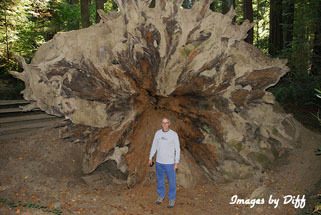 We visited a number of the remaining old growth or virgin forests. 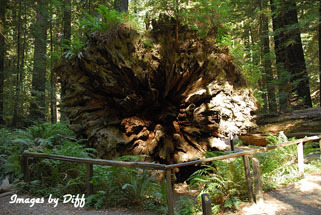 We were at Jedediah Smith Redwood State Park, Del Norte Coast Redwoods State Park, Redwoods National Park and the Avenue of the Giants to name a few. The picture at the left was taken with our Subaru in the picture to give some idea of just how tall these trees are. 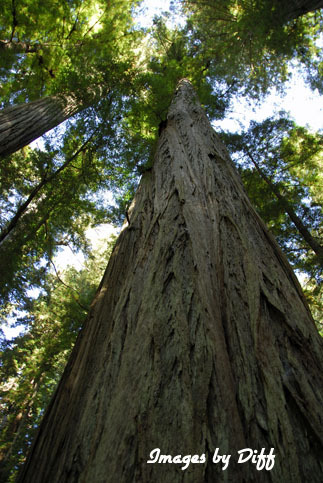 They are over 300 feet tall with some as high as 360 ft. and up to 20 feet in diameter. click photo to enlarge There is something very magical about hiking among these giants. I am not sure how to describe it but you step into these forests and they are so thick it gets cool and dark. It was very quiet and peaceful hiking among these trees that are more then 2,000 years old. More then 95% of the old growth forest have been cut down. Today there are a number of State and National Parks to protect what is left. 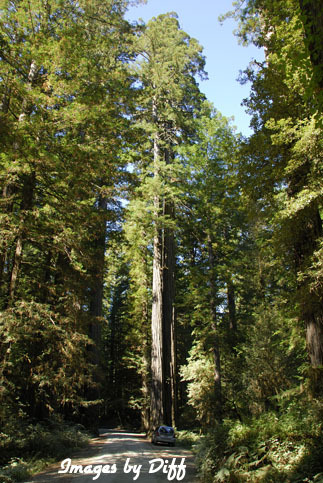 click photo to enlarge The giant Sequoia trees are a relative of the Coastal Redwoods that are wider but not as tall. 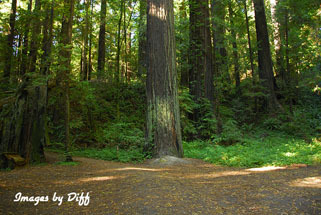 It was very difficult to photograph the Redwoods as the forests are dark and where light breaks through the canopy it is very light and the digital camera does not do well with this large variance in light. Plus the trees are so tall how do you capture it.